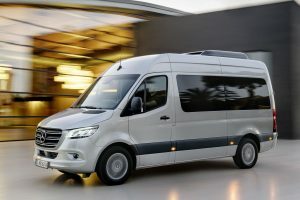 The new Mercedes Sprinter can arrive any moment. Past months, work has been done to prepare the conversion for the new Sprinter. 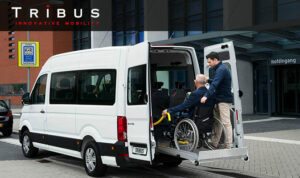 Our conversion is again ideally suited for the Mercedes Sprinter and has passed all safety tests. 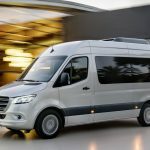 When the new Sprinters are delivered, we can start placing the conversion immediately . 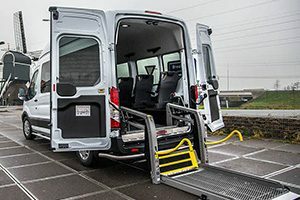 Engineers of Tribus and Ford worked together intensively for the development of the wheelchair minibus with integrated TriflexAIR floor and seating system and a lowered entry step at the front. 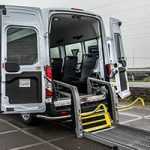 The Transit wheelchair minibus is now available with a front lowered front entrance, an automatical gearbox and an engine that complies with the Euro 6 standard.